Hi! I am Saravanan, a student of Reach for the Stars. I finished my school in Auroville’s New Creation Bilingual School and After School. These schools are free. My mother paid fees for my other two brothers for their schools. Due to this I was worried: why send me to this school that does not ask for fees? But I realized that I learned more in my school compared to my brothers. I learned to speak and write in English and I understood my subjects well. My father was drinking a lot that time. Now he went through a program and stopped, but he can’t go for work a week in a month. I saw this and felt that I had to get no help from my parents, because our financial situation is too difficult. After finishing my 10th standard in After School, I wanted to take the science stream, but this was not offered. I went to Kuilappalayam Hr.Sec.School for 11th and 12th standard, and I needed to pay a fee of Rs.350 per month. For me getting only Rs 100 is very difficult . So I searched for a job and took a part time job at night in one of the Auroville guest houses (Auroville is a major part of my studies). There they paid me Rs 1500 a month with a night dinner. From that I paid my fees and I gave the remaining amount to my mom. Then studying in college became a big problem for me. I knew my family situation is very bad and my parents can’t pay for the college. So I decided that by saving my money from my part time job work we can pay for my college. I calculated how much I would get for a year through my job: just Rs 18,000. I searched for a course, which cost this much per year. I planned to take B.Sc. Maths. One day my principal (Shankar from New creation Bilingual School) called me and told me about Reach for the Stars. He also introduced Stephanie to me. Then I explained my and my family’s situation to the RFTS team. They gave me an application form to fill up. I was invited for interviews and I was chosen! Because of the situation of my family and my income I had decided to study Maths, but my dream was to do an Engineering course. My group (RFTS) helped me to fullfil in my dream. Now I am studying Electronics and Communication Engineering (ECE) in Villupuram. One year after I joined RFTS, I lost my part time job. If I had got a seat for B.sc Maths in any college without getting support from RFTS, I would have had to discontinue. I am very proud to be a student of RFTS now. I want to thank Stephanie, who is our good messenger for the students and organizer of RFTS. And I thank my sponsor Kailash Mathur. RFTS encourages me to one day help other students like me. I want to mention more about my sponsor. He is very nice person who worked in industries, an engineer also. 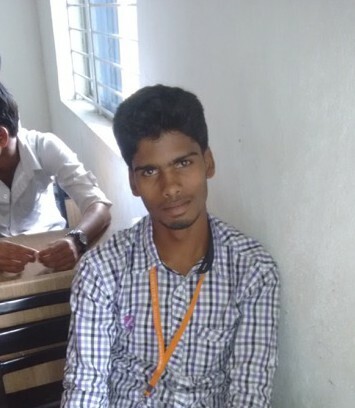 He is an Indian, who helps also other students in RFTS and others in his country of origin. If you want read about his interesting life, please check this link: http://www.dadinani.com/capture-memories/read-contributions/the-unforgettable/86-escape-from-east-germany-1972-by-kailash-mathur.